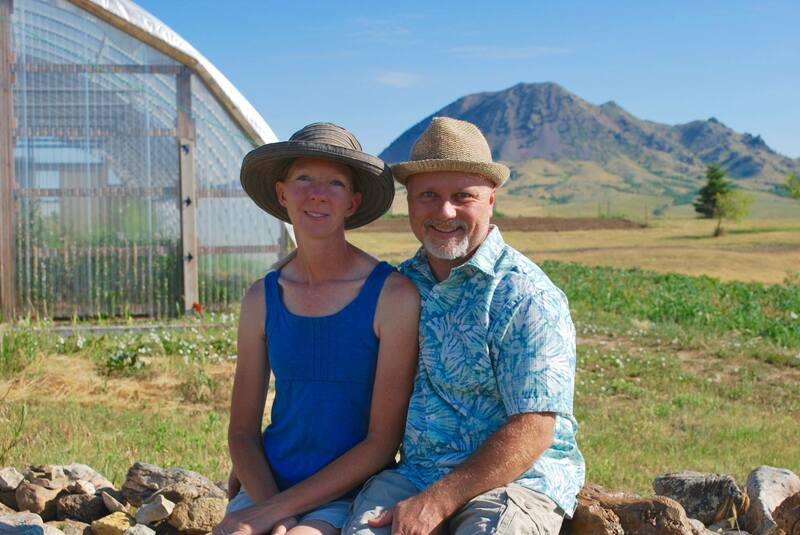 Black Hills State University (BHSU) and Spearfish community partners are seeking to create a culture that supports and values local food in order to expand the reach and depth of our regional local food economy. The Black Hills Food Hub, launched in October 2016, is unique in that it covers the three pillars of sustainability: economic, social, and environmental and benefits a large number of citizens from a wide demographic. A food hub takes the produce from many farms, adds it all together, and then sells it to customers. This allows some farmers to specialize in a few crops that they prefer to grow (such as heritage tomatoes) and/or to have a venue for sales that they otherwise would not have. The food hub eliminates barriers of purchasing local food on cafeteria management, reducing the time and organization needed for both the ordering process and delivery. Additionally, large-quantity commitments from buyers lend unprecedented support to the local food economy. While a food hub in itself is not unique today, we have taken the food hub model beyond the traditional catering to high-end restaurants and marketed local food instead to cafeterias. By servings cafeterias, the Black Hills Food Hub aims to get local food to the greatest number of people from diverse backgrounds. Additionally, the Black Hills Food Hub is unique to the area and designed to be replicable in remote and rural areas, where high-end dining is few and far between. The Black Hills Food Hub takes produce from many farms, complies it together, and then sells it to cafeterias, engaging an array of stakeholders. The food hub delivers food on the same day as picked from the field, ensuring the highest quality product with unbeatable flavor and nutritional value. Black Hills State University (BHSU) is nestled in the Northern Black Hills of South Dakota. We are a masters-level state university with students from all 66 counties in South Dakota, 45 states, and 29 countries. Black Hills State University leads the region in sustainability efforts. Serving over 4,000 students and employing 475 staff, it is the largest and only comprehensive university in western South Dakota. BHSU is known as an information hub and influencing entity in Spearfish and the Northern Hills region, with 25,000 residents. Spearfish is a geographic island surrounded by an expanse of prairie with sparse population and best described as a small college town - on the edge of nowhere. Spearfish boasts a regional hospital, timber and ranching industries, and a thriving retirement and tourism industry. Spearfish residents take particular pride in our prominent, yet dwindling, agricultural roots. Three years ago, Black Hills State University’s Sustainability Office kicked off Spearfish Local, a campaign to promote and support our local food economy. Through grant procurement, Spearfish Local launched with a community locally-sourced supper serving 400 people. At this event, we formed an advisory council committed to developing strategic ways to promote local food. Spearfish Local has gone on to support local nonprofits, producers, and businesses with student interns, developed a badge to recognize local businesses that sell locally grown food and drink, and started many other collaborative projects dedicated to growing support of the local economy by providing tools to local businesses and consumers. Throughout this first year, the Sustainability Office, advisory board (including students, faculty, staff and community members) and partners began strategizing how to get local food to more people. Through a locally conducted survey, it was discovered that only one local cafeteria purchases local food and it did so only once per year. It became clear that local food served in cafeterias would benefit the greatest number of people and provide a substantial economic boost to local producers, growing our agricultural community. BHSU applied for a Local Food Promotion Program grant (through the US Department of Agriculture). This grant funds the creation and management of the Black Hills Food Hub, one of two in the state of South Dakota launched in 2015. The overarching goal of the project is to increase local food production and the number of producers in the area while increasing local food access to people of diverse economic and health status. Our food hub is unique in that it serves area cafeterias. By connecting with regional hospitals, we know we are serving the community most in need of healthy meals. This innovative approach is more equitable than conventional approaches to food distribution, solves environmental and economic issues abundant in our unjust food systems, and is a more sustainable way forward in the face of global food insecurities. This program is designed to become a self-sustaining business and replicable in other regions. The planning process involved BHSU sustainability staff and student interns talking with local producers, the BHSU campus cafeteria, and local cafeteria managers from the hospital, schools, and retirement homes. The consolidated information showed a clear pattern of a distribution gap between producers and cafeterias due to several concrete barriers. 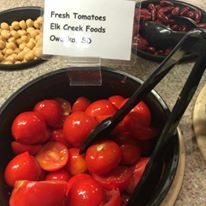 Through a locally conducted survey in 2015, it was discovered that only one Spearfish cafeteria purchases local food and it did so only once per year. It became clear that getting food into cafeterias would benefit the greatest number of people and provide a substantial economic boost to local producers, growing our agricultural community. In Spearfish Local meetings, the loud voice from area farmers is that the region needs more producers. The farmers we spoke with know that they are stronger in numbers. We took this into account in the food hub concept. 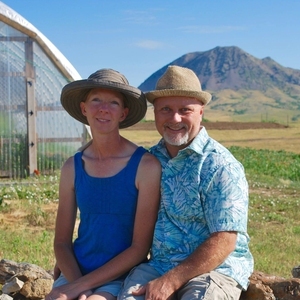 One farmer may not have enough consistent produce for a large-scale cafeteria's weekly needs. However, collectively it can be done. As new producers come to the area, more markets will be opened and the Food Hub can access more cafeterias. Cafeteria managers taught us the fast-paced, low-margin structure of their work. With a passion for the culinary arts, most cafeteria chefs would love to use high quality and local ingredients. However, the price, time, and coordination required to work with many local farmers makes this unrealistic. The food hub tackles these issues by creating a system with one contact for ordering and delivering. BHSU applied for a Local Food Promotion Program grant through the US Department of Agriculture. The grant funded the creation and management of the Black Hills Food Hub, one of two in the state of South Dakota launched in 2015. 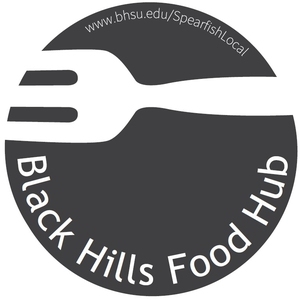 The Black Hills Food Hub, a business run by Cobblestone Science (a locally- and women-owned small business) and incubated at BHSU coordinates the needs of cafeterias in the region with local food producers. Agreements between two large-scale cafeterias serving close to 6,000 customers a day and 16 local producers are in place this year. When we launched Spearfish Local in June 2014, we asked BHSU’s cafeteria manager to plan a community meal completely sourced from local food. We understood this would be a challenge for BHSU’s Dining Services. It was an exercise to see if we could serve 400 meals from local sources near our small town and for us to begin a conversation between our cafeteria and local farmers. The event was a resounding success, however not without a lot of work on the end of our cafeteria manager to connect with each farm, make pick-up agreements, and negotiate pricing and payment. In the spring of 2015, BHSU began a survey of area cafeteria managers. Through this process, we learned that only one cafeteria, outside our campus cafeteria, sourced local food, and did so only once per year for a special event. We learned that the cafeterias we spoke with all experienced similar barriers to purchasing local food: amount of time needed to coordinate purchases, lack of a delivery service, and price. It was obvious through this process that there was a need for a local food distribution program. BHSU applied for funding from the USDA’s Local Food Promotion Program (LFPP) to launch a food hub for the region. The Black Hills Food Hub launched in October 2015 when BHSU was awarded the LFPP grant. BHSU contracted with a local business, Cobblestone Science, to run the management and logistics of the service. That winter, contracts were drawn with interested cafeterias and farmers. Cobblestone Science started by speaking to producers about what they would be growing and what they would like to contribute to the food hub. Next, Cobblestone Science reached out to cafeterias. Xanterra (the food service managers at Mt Rushmore National Memorial) and Rapid City Regional Hospital were eager to receive locally grown food and both serve a wide swath of people, totaling about 6,000 meals per day. 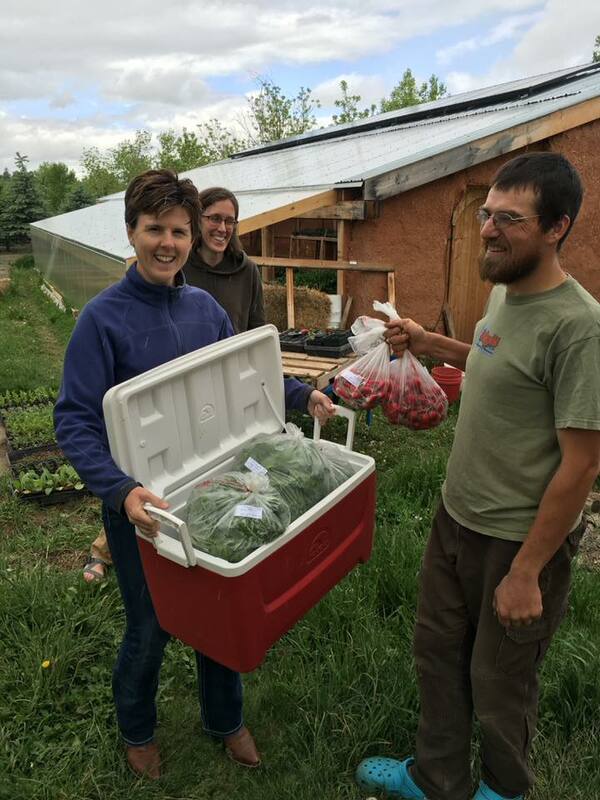 The Black Hills Food Hub successfully made its first delivery on May 25, 2016. Although it was very early in the growing season for South Dakota, asparagus, arugula, and radishes were harvested and sold to Regional Health Hospital. Since then, the Black Hills Food Hub has collected and delivered local food every Wednesday to our cafeteria customers, even through the winter months. After the first summer, a meeting was held with the cafeteria managers and farmers to work toward coordinating what the cafeterias plan to buy with what the farmers plan to plant. We are currently entering our second summer season and believe sales will be double what our first season achieved. BHSU wrote and received the grant to implement the project. This project is funded by a $100,000 USDA LFPP grant, lasting two years. 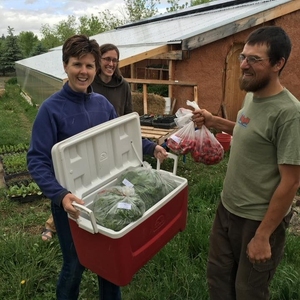 The grant enabled the launch of the Black Hills Food Hub and for the service to be free for participating farmers for the first two years of operation. This enables us to build confidence between the farmers and our cafeteria customers in this new process. After the grant period ends, we will implement a fee structure to pay for the delivery and coordination service that the food hub provides. The cost to run the food hub management and delivery is about $50,000 per year. After the grant period, BHSU will invest in the difference between the fee income and the costs of operation until the Black Hills Food Hub is a self-sustaining and profitable business, which we are planning on attaining within five years. BHSU plans to invest innovation dollars to support this project as it serves our mission of regional sustainability leadership and provides work experience for our students. The Black Hills Food Hub has agreements with two large area cafeterias: Regional Health Hospital and Carver's Cafe at Xanterra Parks & Resorts at Mt. Rushmore National Memorial. The two combined cafeterias serve over 6,000 meals a day. The amount of food both cafeterias are willing to purchase has created a demand allowing full participation from all willing area producers. Before contracts with the Black Hills Food Hub, Regional Health did not purchase any local food for its cafeterias. Carver’s Cafe previously purchased from one Black Hills area producer. Sixteen local producers provide food to the food hub currently. This project created a new market for cafeteria sales for area producers. The project's first year economic impact was over $12,000 in revenue for the producers and over a ton of produce sold. Many contributors to the food hub are small producers, while this number may seem like a small impact, the total revenue for all local farmers at the Spearfish Farmers Market is between $2-3,000 per season. With that in mind, the food hub has had a significant economic impact for local farmers. The food hub could support much more in revenue once farmers are able to ramp up their operations. We have learned many things throughout the implementation of this project. One of the main lessons learned is the time it takes to ramp up operations. We will need to significantly ramp up sales of produce in order to pay the needed staff for food hub operations once the grant funding portion of the project is completed. We have found that there is a demand from local cafeterias and building trust with farmers that the demand will continue takes time. Additionally, farming doesn’t happen overnight, so the period of ramping up operations to meet the demand is significant. This will be the hurdle we will need to meet in the coming years.